Super stylish luxurious design with very comfortable rounded ergonomic handle made out of sustainable organic bamboo. Now with plant based bristles! We are delighted to stock Truthbrush's new range of brushes made with plant based bristles. The bristles are made with 62% castor bean oil and 38% nylon and so contain more plant and less petrochemicals! Handle is made out of naturally antibacterial and antifungal Moso bamboo sourced from an FSC managed sustainable forest in China. Organically grown. The Truthbrush is dipped in either white or grey paint, which has been tested according to REACH legislation. Each Truthbrush is hand wrapped in tissue paper and a recyclable cardboard pillow pack. Truthbrush are Catherine and Catherine and they firmly believe that beautiful things can also be eco friendly. 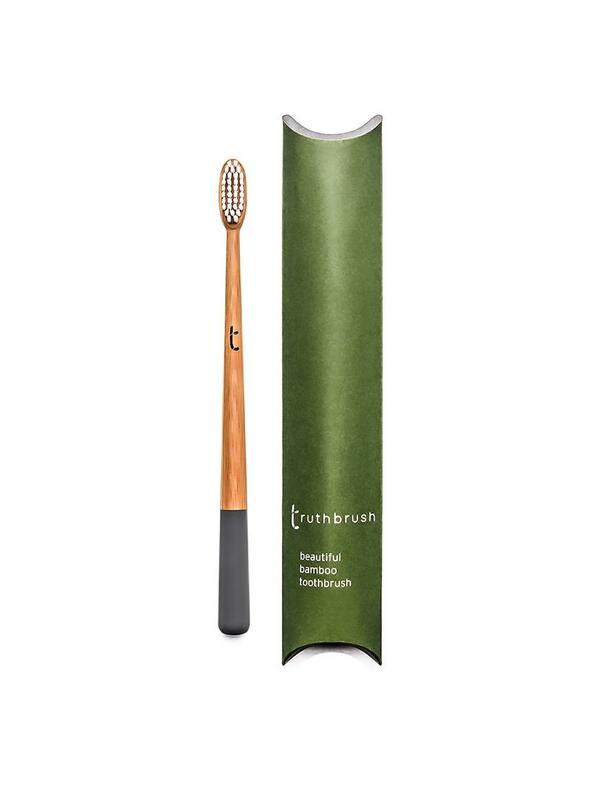 Combining their expertise as a hospital surgeon and a fashion buyer, they have designed the Truthbrush to look beautiful in your home as well as being a great toothbrush. Every year over a billion plastic toothbrushes are thrown away worldwide, ending up in landfill, in the sea or washed up on a beach. The truthbrushes are made in China - the natural habitat of bamboo. Moso bamboo grows up to a metre a day here as it has the perfect conditions to thrive. We know that shipping to Europe has a carbon footprint, although the amount is tiny for each brush. This is why we have chosen to carbon offset shipping both from China to us and from us to you.